There is nothing better than chasing big fish that you can see. Carp are my favorite fish to catch because you are playing their game not your own. They eat when they want to and they do nothing when they want to; It's often a hit and miss. I've hooked a few and landed less than I would like but it's all fantastic fly fishing. This local Chico pond in Upper Bidwell that can hold carp around 5-10 pounds. They are often found feeding near the shoreline early morning and mid day. 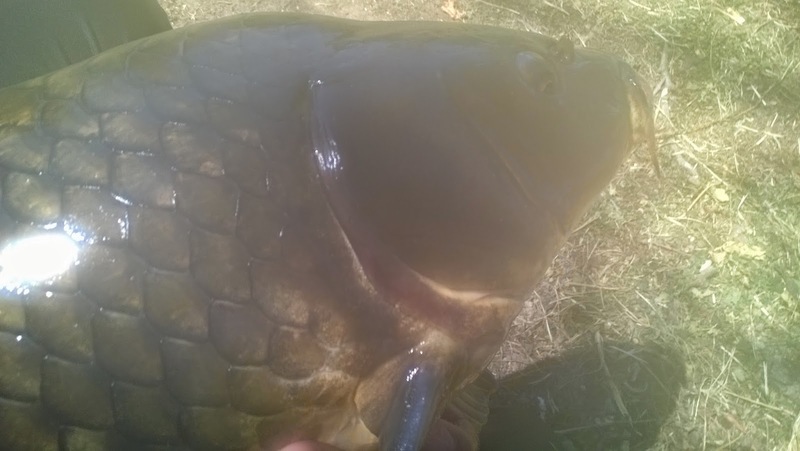 The pond is often tricky to fish because the water is always muddy and the only way to really know when to set the hook is when the carp hook themselves. People who visit this pond also have the potential to spook these wary fish making it extra hard to fish for them. Overall it's a challenging fishery. The muddy water is one benefits that I have, it makes it easier to get closer to the carp without spooking them. The carp can't see the fly very well so something that feels right in their mouth is key. I tied what I call an "All-in" which is a combination of everything I think a carp would eat and it worked! There was one other angler fishing on the bank that was using chicken liver to catch catfish. He came over to chat with me a few times and I'm sure he was pretty jelly when I hooked into that carp. I'll be coming here more often since I have no gas to chase other fish and I'm looking forward to it. Manda and I went home to do some laundry and I decided to hit up the local pond/lake. There were carp everywhere in the morning to noon. During the hottest part of the day they were found snoozing at the corner of the lake. These fish were chasing, spawning, feeding, and clooping. I was using my 3 wt hoping to hook into some bass and got an early start with a bluegill. The bass were in the shallows but weren't doing much. Some of the bigger bass, probably around 3-5 pounders, were just suspending in the shallows protecting their fry. I've never seen this behavior before and didn't try very hard to get them to take so I left them alone. I wouldn't see my next target until around noon when I saw a few cruising carp rise to eat floating debris. I tied on a bread fly and hooked one which I lost and then I hooked the biggest fish I have ever caught. It took at least an hour to land the 15 pounder. About halfway through the fight my backing got tangled so I had to resort to stripping in the beast. During the struggle, I dropped my phone in the water so I wasn't able to get any good pictures of the monster carp. However the memory will live on in my head and now I know how to catch these fish. 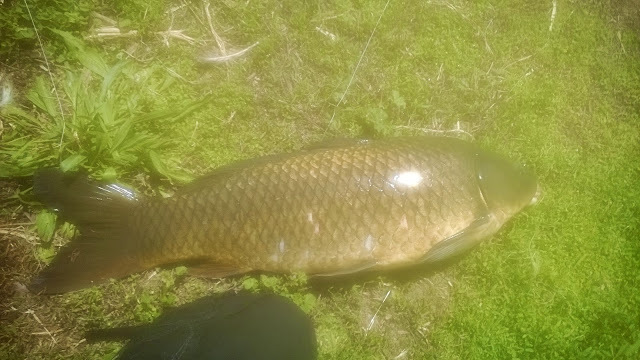 I am going to continue chasing carp. The stalking, the casting, and the fight make it all worthwhile. 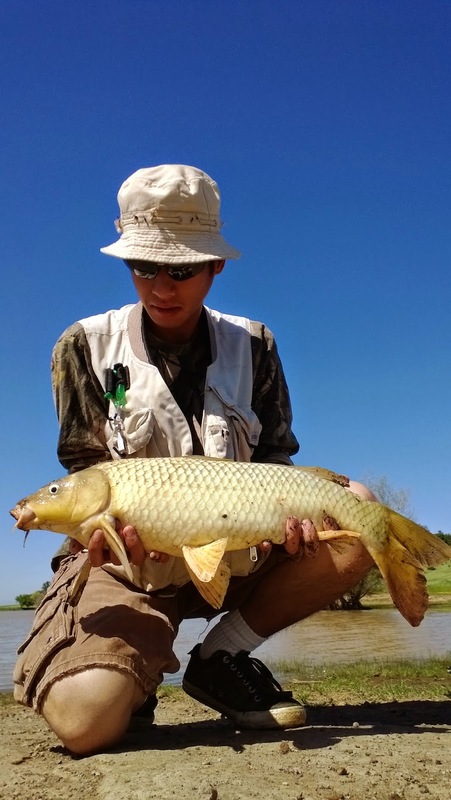 There is no other fish that are so readily available and fight as hard as the mighty carp. These fish are amazing on a fly and will put any angler to the test. They are misrepresented as big dumb fish and they are entirely the opposite. Nice carp brother! Cannot wait to land my first of the year. Thanks! Those carp are some tricky fish. I get an adrenaline rush like no other when I see them feeding.